Joanna de Albuquerque Maranhao Bezerra de Melo (Joanna Melo or Joanna Maranhao) was born on April 29th, 1987 in Recife, Pernambuco, Brazil. Her International Career started in 1999 when she was just 12 years old. She competed at the 1999 Pam American Games held in Winnipeg, Canada. 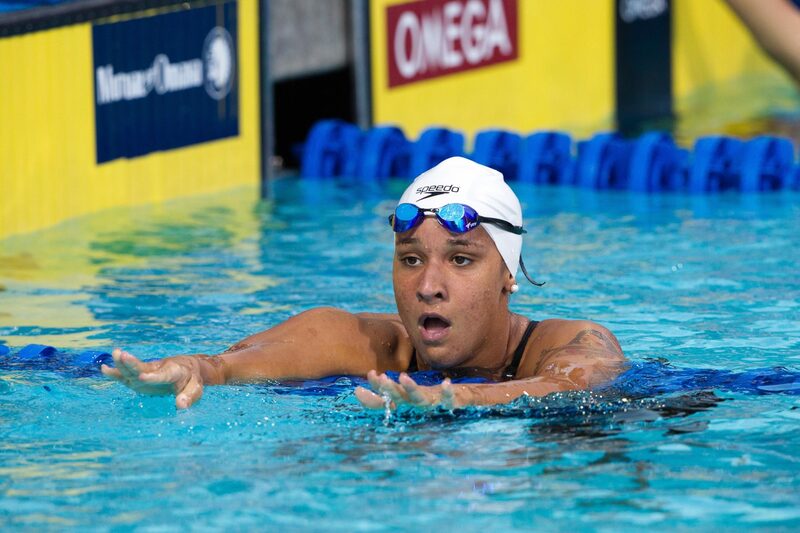 In 2002 at the Pan Pacific Swimming Championships, at just 15 years of age, Melo placed in the top 16 in the 200M IM, and 200M breastroke,and she broke the Brazilian record in the 400M IM. She lowered her Brazilian record in the 400M IM at the 2003 World Aquatics Championships in Barcelona with a time of 4:49.04. She also swam the 200M IM, and the 200M Breaststroke. That same year, at the Pan Am Games in Santo Domingo, she won bronze in the 400M IM, was 4th in the 200M IM, and 8th in the 200M Breaststroke. From 2004 to 2007, Melo struggled to break the top 10 at any international meet. She was at the 2010 Pan Pacific Swimming Championships in Irvine, where she finished 6th in the 4x200M Free Relay, 11th in the 400M IM, 17th in the 200M IM, and then chose not to swim the 400M Freestyle. Participating in the 2011 Pan American Games in Guadalajara, Mexico, she got the silver medal in the 400M IM, narrowly losing to the short course World Record holder, Julia Smit. . She also got the silver in the 4×200M Free Relay, and bronze in the 200M IM, and surprisingly finishing in 4th place in 200M Fly and 400M Free. 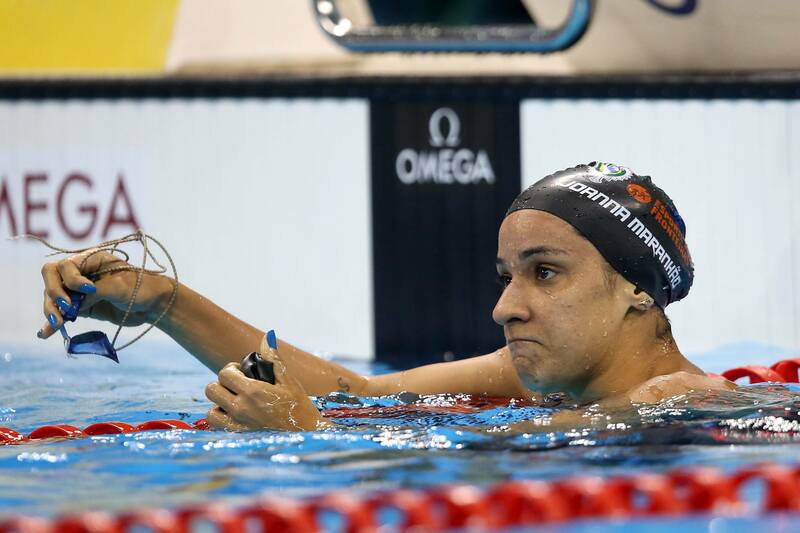 Competing in the 2004 Summer Olympics in Athens, she finished 5th in 400-metre individual medley, the best placement obtained by a Brazilian woman swimmer ever. 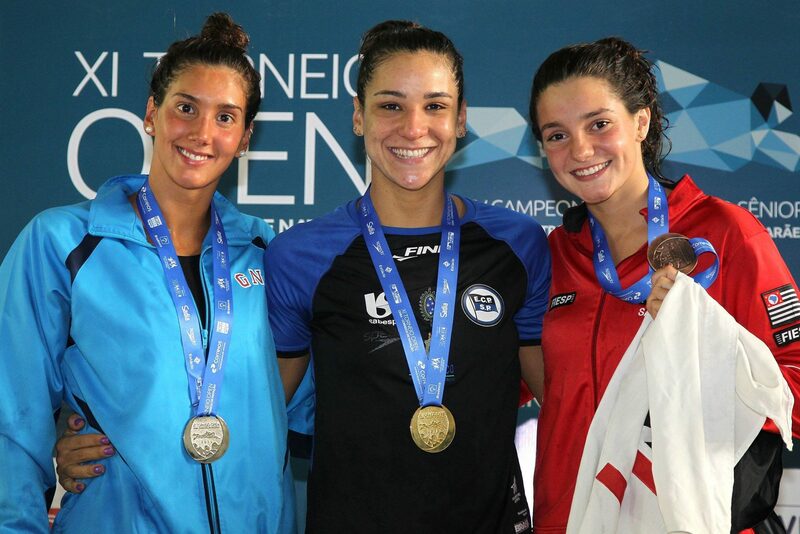 The relay team of Melo, Paula Barcho, Mariana Brochado, and Monique Ferreira broke the South American record of the 4×200Mmetre freestyle with a time of 8:05.29. 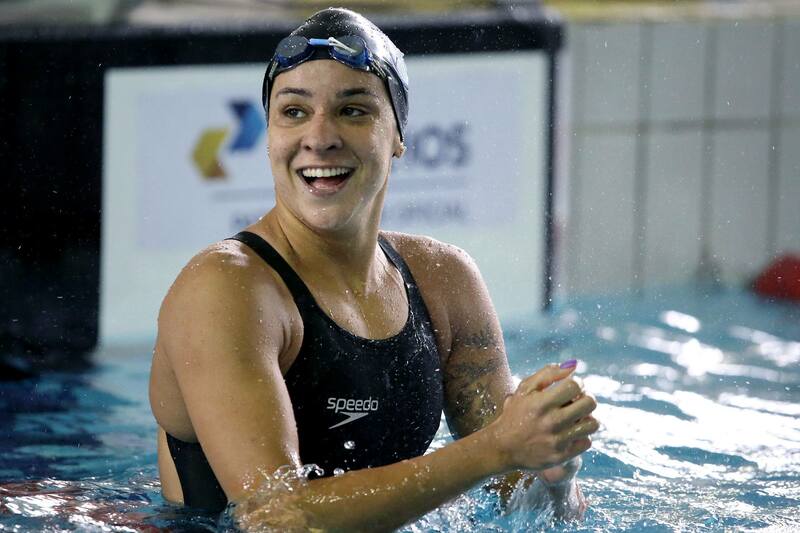 Additionally, she also broke the South American record of the 200M IM, with a time of 2:15.43, at semifinals. 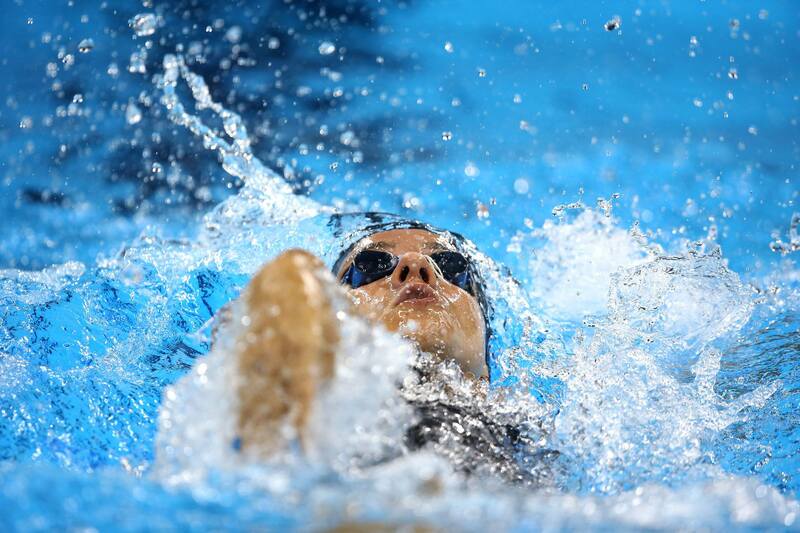 At the 400-M IM, the Argentine swimmer Georgina Bardach broke the South American record and won the bronze medal doing 4:37.51; Melo broke the Brazilian record with 4:44.00. 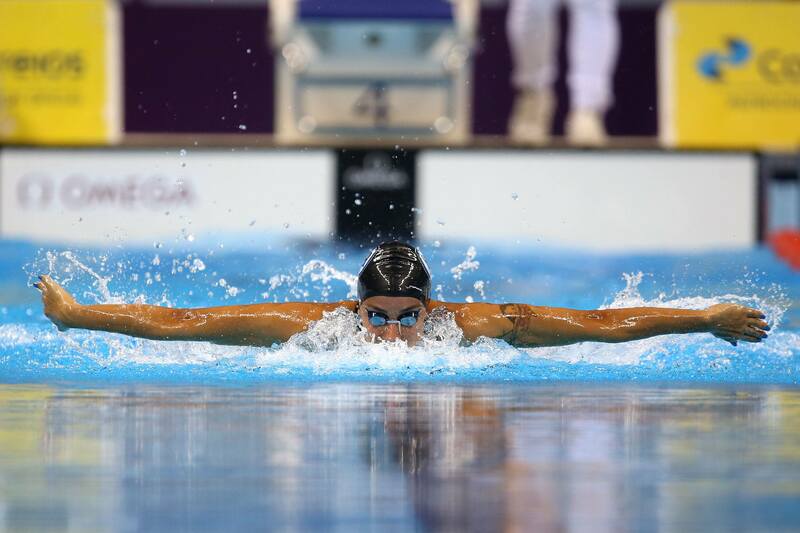 Melo could not top her 2004 form and finished 17th in 400M IM, 22nd in the 200M IM, and 22nd in the 200M Fly. 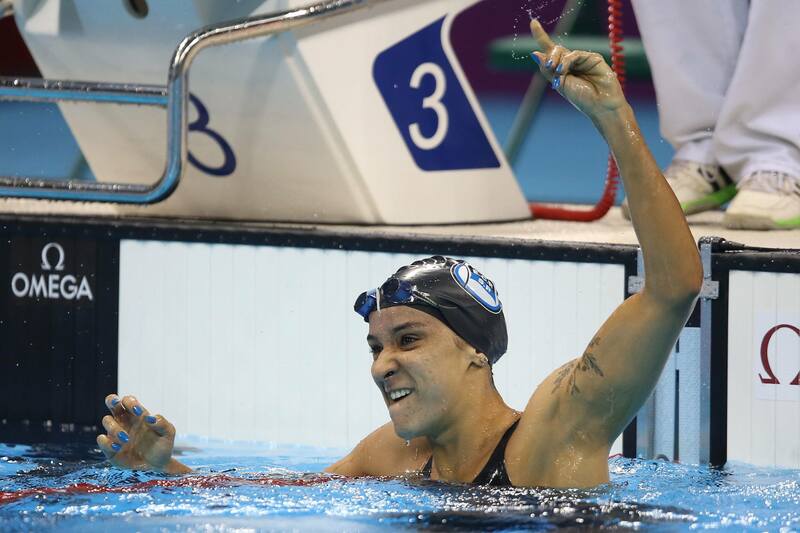 Competing in her 3rd Olympics, Melo finished 15th in the 200M IM, and 26th in the 200M Fly. 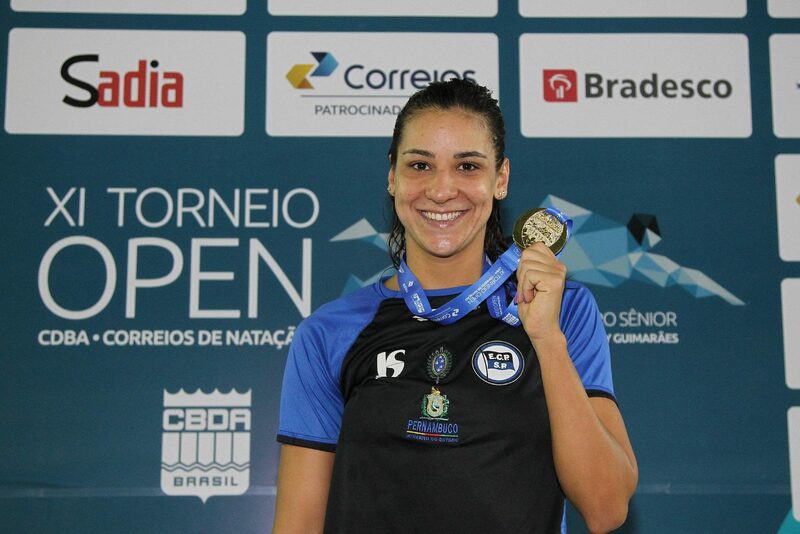 She is back in 2016, having been named to the Brazilian Olympic Team for the Rio Olympics. 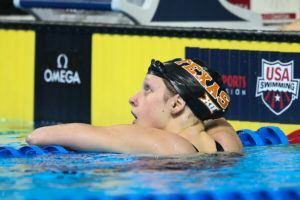 This time, she is scheduled to swim the 200M IM, and the 400M IM.